The Chicago Blackhawks have won four straight games and will be looking for another win against a divisional opponent on Sunday, but it appears they will still be without two members of their blue line corps. Those players are Jan Rutta and Cody Franson, both of whom missed Thursday night’s win against the Winnipeg Jets. Neither player was present for the Blackhawks at Saturday’s practice, and according to head coach Joel Quenneville, neither is expected to play against the Minnesota Wild on Sunday night at the United Center. Franson was placed on injured reserve earlier this week, but is now eligible to be reinstated once he heals from an upper body injury. Rutta remains on the active roster, but missed Thursday’s game after getting hit in the head during Tuesday’s win over the Florida Panthers. 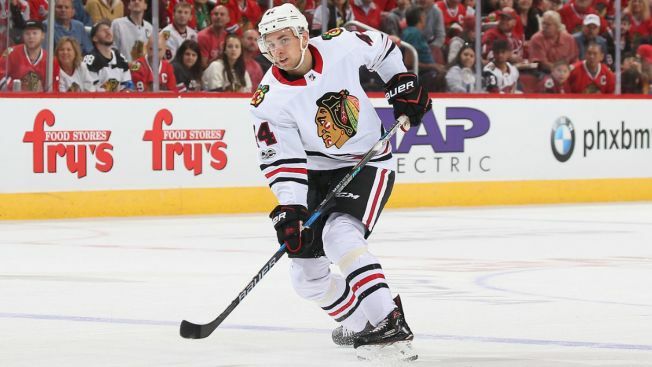 Both players are expected to skate on Sunday morning before the game, but neither will likely dress, meaning that Michal Kempny will more than likely remain in the lineup alongside Brent Seabrook. Rookie Ville Pokka, recalled by the Blackhawks when Franson was placed on injured reserve, did not play against the Jets and was not skating with the top six defensemen when the Blackhawks practiced Saturday. Pokka, who represented Team Finland in the 2016 World Cup of Hockey, has yet to make his NHL debut for the Blackhawks, and barring a change of plans he won’t do so before being sent back down to Rockford.